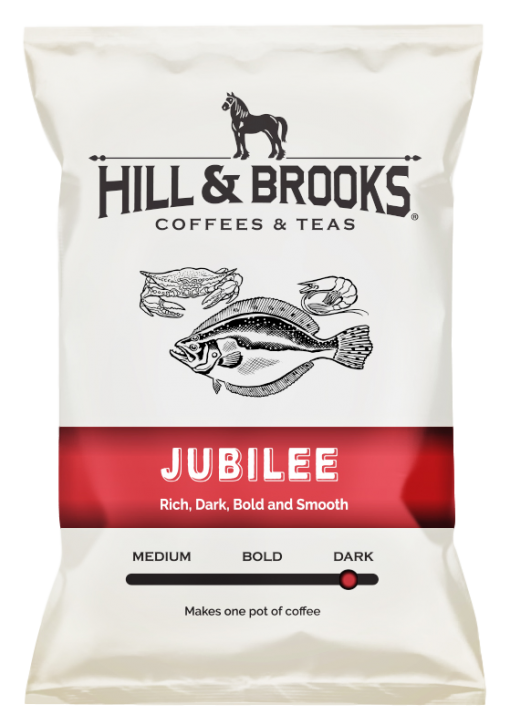 Cupping Notes: A rich, dark roasted coffee with full body flavor. Notes of dark chocolate highlighted by subtle, rich red wine tannins balanced with a mild acidity. 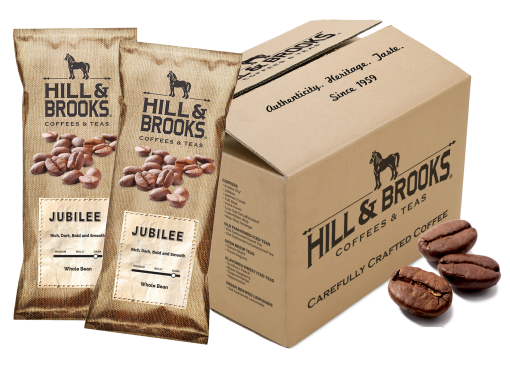 The roast profile is deep and reminiscent of espresso. County of Origin: Guatemala, Honduras, Brazil, Colombia. 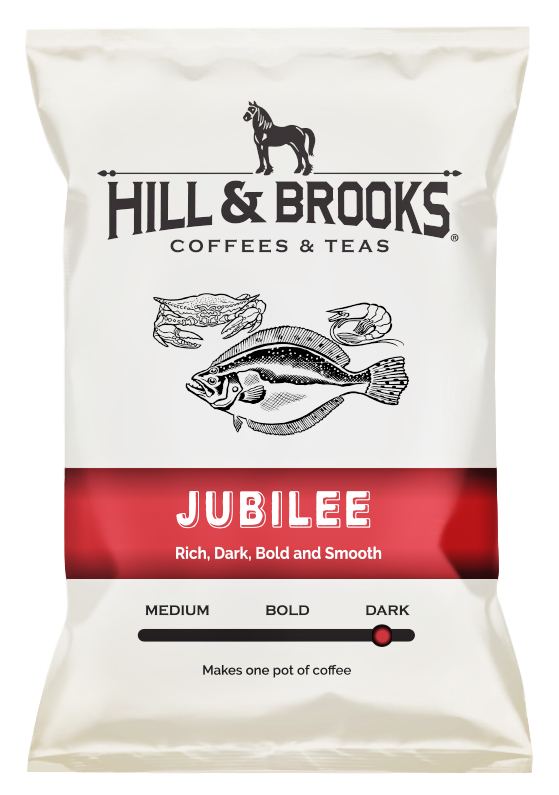 Our most eclectic blend of coffee, Jubilee celebrates the rich heritage of the world’s finest selectively handpicked coffees. 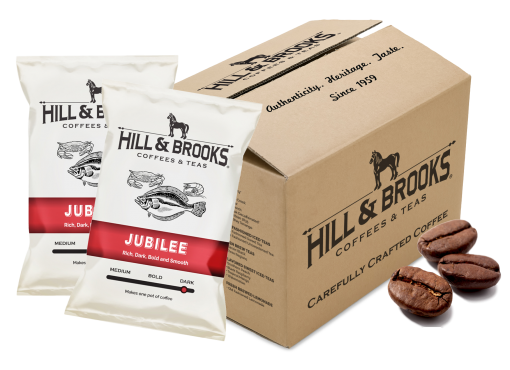 Our comprehensive approach to sourcing reliable, consistent, quality coffees from these top producing origins results in an excellent blend of coffee that you can drink all day. Coffees come in frac packs of ground coffee that make one traditional pot of coffee as well as whole bean packs.